It’s February 1st. Do you know where your photos are? New Year’s resolutions are all well and good, but you have probably already slipped up some. (shhh. I won’t tell. ) I have one that you can keep your promise on, right now! It’s Sunday morning. And JANUARY 2015 is FINISHED. Let’s get organized! 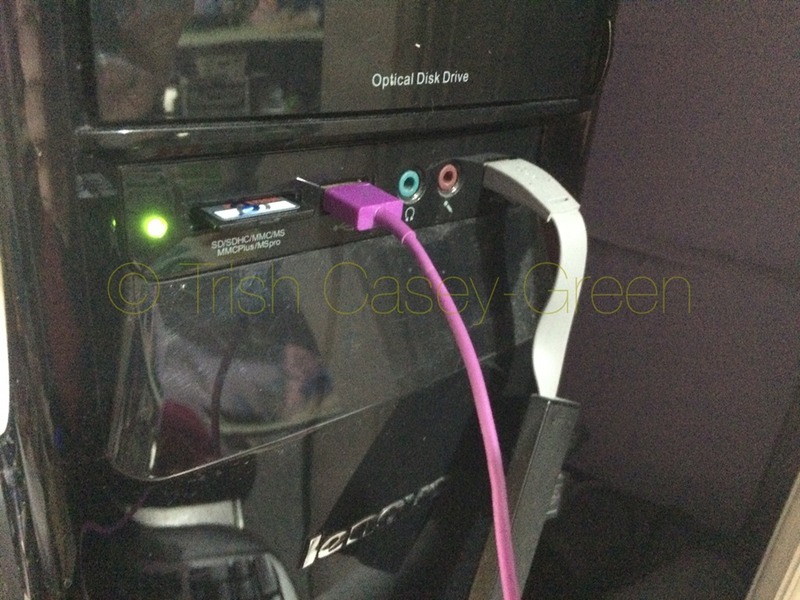 MINIMUM EFFORT— Find the cord to your phone and upload all the photos you took in January 2015 into a folder on your C drive called 2015-01-JAN (or something close). If you took photos with a real camera, grab those SD cards and upload all the photos you took into the same folder. (If you are feeling ambitious, make a folder that is 2014-ALL and get the rest of the photos off the phone now, too.) DO NOT DELETE or ERASE CARDS YET. A BIT MORE EFFORT— Look at every photo you took in January 2015. Are there duplicates, or totally blurry or otherwise absolutely useless photos (like the photo of a recipe so you could go the store)? If so, delete them NOW from the folder. Go ahead, be brutal. When you are done, grab a cup of coffee, and settle in to do some reading. 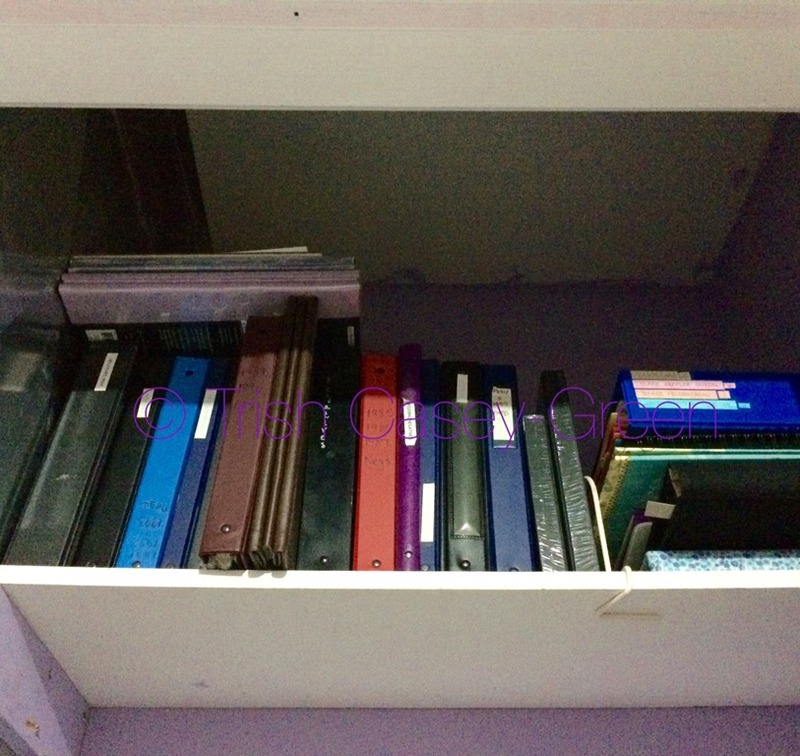 <—-Read this blog that I wrote a few years back about how I organize my photos. And then, read even more about it that I have written over the years. I fear greatly that this generation coming up is not only going to be the most photographed, but also the generation with the fewest images accessible to them when they’re 64. The year is 2060. Your grandson was downsized at work. He and his wife and his 13 year old twins are moving back across the country, following a job. They are staying in a friends basement while deciding if this is the right town for them. While packing the most important things and putting the rest in storage, for a better time, he comes across a box full of antiquated media. A mish-mash of all the variety of storage devices he had seen in museums. Some has writing on the edges; cryptic information like “Daddy’s fishing boat photos”, but mostly they have nothing or simply dates. Although he smiles at the box; he recalls Grandma putting treasures into it when he was a child. As he digs through the box, he sighs. There hasn’t been a player to watch some of this stuff in decades without having to go to a historical society. And while he recalls vaguely seeing old family photos, he wouldn’t have a clue where to start to locate them amidst the dozens of disks in the box. They have become Frisbees. He guesses he could probably go to a college, or contact a library to see if they have something that can still read these items. But, does he have the time? He and his wife will be working more hours, trying to get back on their feet and the twins are insistent on getting back on sports teams when they move. The money and inclination to take random, unlabeled VHS or floppy disks or CD’ s or Blu-ray’s somewhere, pay to be told that they are hopelessly corrupted, or have the information transferred to the current media? His wife will go crazy if he spends more money that they don’t have having them transferred. Braces, the dentist said. Times two. And how disappointed will he be after spending all the time and effort to discover that the images rescued are of some people that must have been friends of friends of his great grandparents? This box heads to storage. Discovering a dusty, even poorly maintained, horrible ‘magnetic’ photo album? A Buster Brown shoe box full of negatives and curling black and white photos of some dude who, wow, looks like his kids? Those actual printed photos? Shoeboxes full, even, will end up in the back of the minivan, because when he opened the lid, he saw a photo of his puppy from when he was seven. The box may end up on a shelf, half-heartedly sorted through on a random snow day far in the future. But, one day, a child will ask about dad’s first pet, and he will be able to scrounge around, find the box, and spend hours laughing at the odd clothing and hysterical haircuts from the past. Will it EVER get opened again? Will the rent stop arriving on the storage facility when the job doesn’t pan out? Because mortgages, electricity, gas, clothing for growing children, and a huge list of other bills will eventually be more important than THINGS they haven’t needed in months or years. Sold at auction, you can bet those disks are trash. The same situation IS going to happen to your current storage devices, you know. It WILL. Forward progress. Whether the images mean something to YOU or not, when your kids are cleaning out your home after you die in 50 years, and they run across media they can not EASILY look at—will they take it home, tell their kids no vacation this year because the money is going toward seeing the treasures Grandma had on a (what turns out to be a corrupted) CD? PRINT YOUR PHOTOS! 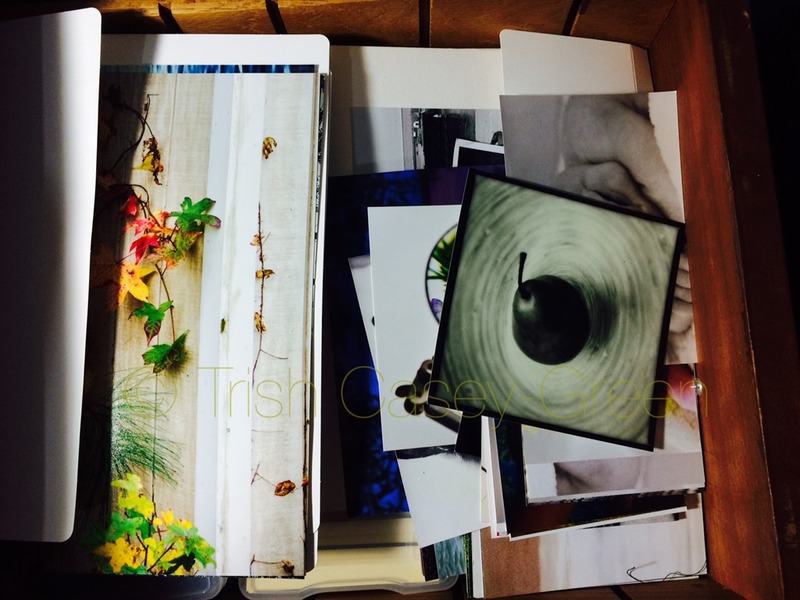 And by print, I DO mean have your photos PRINTED by a lab, photo paper, chemicals, the whole nine yards. Think you have a photo printer attached to your computer that does as well, as cheaply? Photo inks are not stable enough. The inks are sprayed onto the top of the glossy paper. Sign up to Shutterfly, Mpix, SmugMug, somewhere! and have some images printed. Not everything. But some. The ones that are special, and sometimes the ones that are not. Photo books are great, too. If you have media that is readable still, look at it! Check to see that is is still usable, and send it to an online gallery for storage. Pass them around to far-flung family in a Valentines card. This will not protect you from fire or flood, though. GIVE some family photos to other family members. Connection AND insurance. And have an online presence. Some online is better than other online. You do not want to only do this— if they go out of business (Kodak Gallery) you are out of luck. Free places tend to be more iffy; so…. Of course, you do then have the “braces this month or pay my yearly online fee” conundrum…. My thought is the cost of the year of storage is less than the cost of a half dozen rolls of film and developing. Oh, right. I said don’t delete from the phone yet. So, having read all of the above, (coffee topped off?) have you a backup plan? Once you have burned a CD or DVD (properly labeled as to be retrievable), and uploaded to your fancy-pants new online photo storage, hit that delete button! I was with someone the other day who I haven’t seen for a YEAR. She STILL had photos from the last time we got together on her phone. One minute of distraction and the phone is gone…. PS. THIS IS A DO AS I SAY, not as I do post, meant to motivate ME to finish as much as to get you to START!! PPS Someone on Facebook posted this the other day…”I was cleaning out yet another part of the house and happened upon a folder I hadn’t seen since I moved away to college inside I found all these moments of my families past I wasn’t even aware of…” I doubt if she had run into a CD she would have even glanced at it; as it was when I ran across her thread, with photos, there was a healthy conversation happening about the photos from different family members.